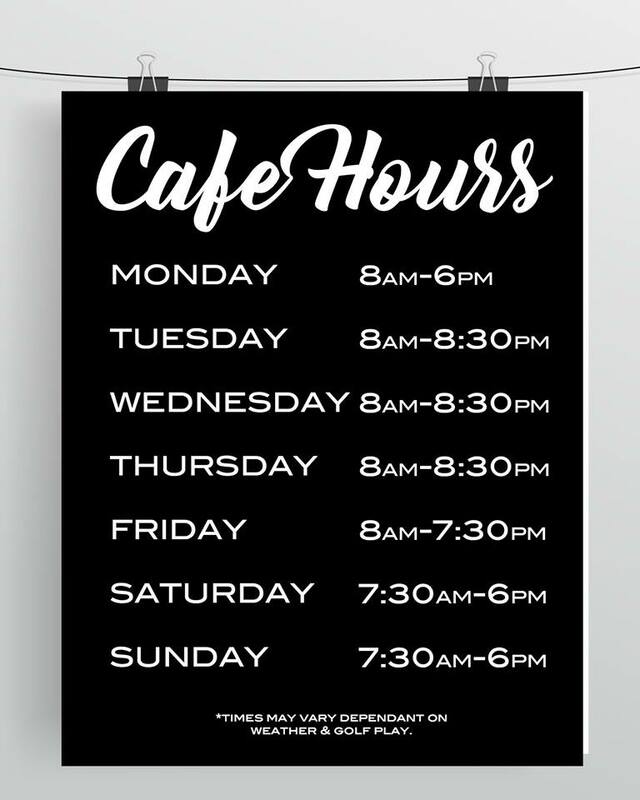 We’ve updated our Cafe & Patio hours. Come in and enjoy a delicious breakfast, lunch or dinner in our beautiful, casual restaurant overlooking the course today! Great food. Great value!